Wickham Bishops, Essex. 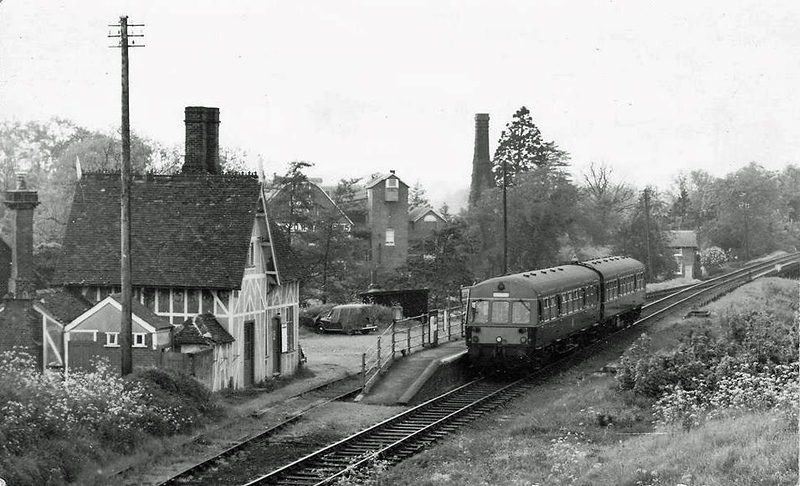 A two car Metro Cammell dmu arrives on a Witham to Maldon East working in spring 1964. Note the attractive station house. Not sure what the chimney is above the dmu, kiln?